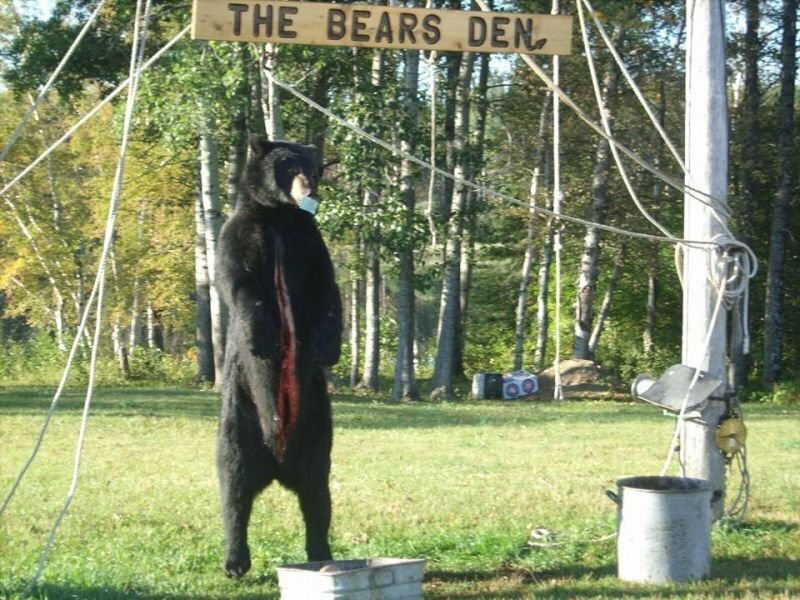 Caramat Bears Den specializes in big game Archery hunts. Although our passion is for bears, we also provide moose hunts. We offer some of the best hunting in North America today. With our government lease, a vast wilderness, and remote hunting area, bow hunters will enjoy a great experience without having outside interference. Caramat Bears Den puts forth every possible effort to ensure high quality hunting is offered to each bow hunter. 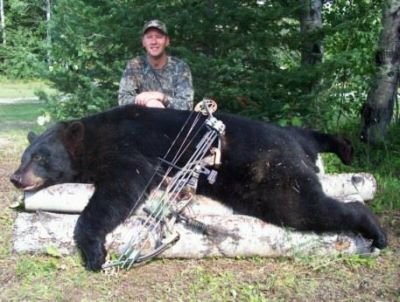 We offer a very high success rate with bowhunters only, and every year we harvest more than our share of bears. Our Bear Management Area (BMA) is over 5000 sqkm. The following information is on the bear and moose hunts. For more information please contact Andy Gauvreau. 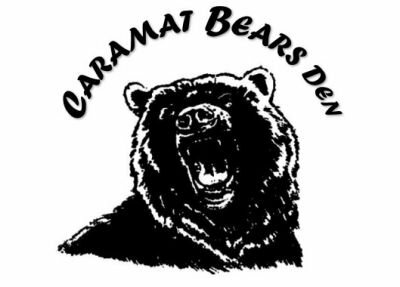 At Caramat Bears Den remote outpost camp, hunters must provide their own meals and lodging. All of the baits are accessible. Hunters will drive themselves to and from their bait sites. This allows the hunters to hunt their sites more freely. Hunters are welcome to bring their own tree stands, and steps if they wish to hunt from a tree stand. We use fresh meat for bait. Each site is baited every other day, and records are kept on each bait site. We do not hunt a bait site unless it has multiple bears hitting it. All hunters draw for stands, that way there is never any favoritism shown. Each bait site is only hunted once a year. BAITS WILL NOT BE RE-HUNTED! The hunt dates for 2017 as follows, BOOK NOW! Most of our shots are between 14 to 16 yards. We have approximately 175 baits, with 40 permanents and the rest are portables (Loc On). All of them have road access. Hunters are welcome to bring their own tree stands. The stands are approx. 12 feet high. All hunters will draw for stands, that way there is never any favoritism shown. Hunters will drive themselves to and from their bait sites. This allows the hunters to hunt their sites more freely. Once a site has been hunted it done for the year, WE WILL NOT RE-HUNT BAIT SITES. *Cooking Facilities: 2 kitchen facilities in lodge complete with fridge, stove, microwave, refrigerator, cooking utensils, utensils & the coffee is always on! *Refrigeration & Freezing Facilities: large choice of freezers to store food as well as the meat and hide from the animals hunted. *Other Recreation: the lodge has pool tables and furnishings for relaxing. Many local lakes are filled with fish, and the trails for quading can be used as well. *Archery Gear: Bow with a minimum weight of 49lbs and 24" draw are required by Ontario law. We prefer 55+lbs and multiple blade broadheads. 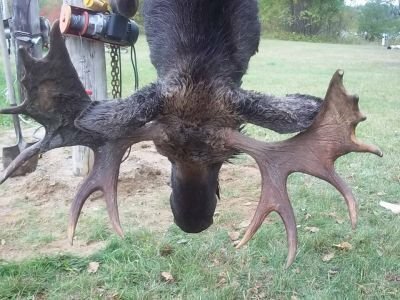 Mechanical broadheads are not preferred. All broadheads must be SHARP! *Hunting Skills: This is truly a bow hunters camp. Practice shooting from an elevated platform and while wearing hunting clothing. Hunters are most successful when they can be motionless for long periods of time and constantly using your senses. *Camouflage & Clothing: Most treestands are located in pine trees and the foliage during hunt is generally green. Most commercial camouflage will suffice, but green patterns may be an advantage. Temperatures may be from 20-65 F and rain or snow is a possibility. Comfortable waterproof boots are a must. Clean set of clothes for the trip home. *Other Recreation Equipment: Hunters may bring boats, motors, and fishing equipment for the local lakes and rivers. ATVs are popular for fun and transportation (check season dates). Cards, board games or dice are other common games brought. How do I get there through Sault Ste Marie?